So how did Godzilla’s return to the big screen fare? To put it mildly, like the titular character at the end of the film, it reigned supreme. 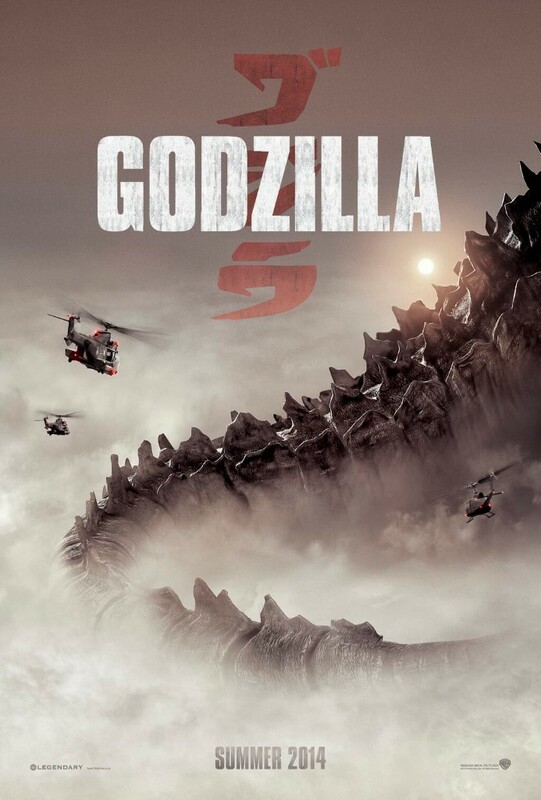 The movie chronicles the events leading to Godzilla’s awakening from a prolonged hibernation. Joe Brody (Bryan Cranston) lost his wife in what was described as a nuclear plant accident in Japan back in 1999. Fifteen years after the incident, Joe is more determined than ever to prove that the so-called accident is only an attempt to cover-up what has really occurred. Joe’s bold moves to uncover the truth ultimately resulted to the involvement of his estranged son Lt. Ford Brody (Aaron Taylor-Johnson) who left his wife Elle Brody (Elizabeth Olsen) and son in the United States, to fly to Japan to pick his father up from prison. But Ford, Joe, Elle and the rest of the world found themselves caught in the middle of two radiation-consuming gigantic parasites called MUTO (or Massive Unidentified Terrestrial Organism) that desperately seek to reproduce and propagate their species on Earth at all costs. The only weapon that can stop them? The newly-awoken fire-breathing monster they call Godzilla. Perhaps the greatest achievement of the film is found in its storytelling. Narrating a monster-themed story can be extremely tricky as it can lead to the underdevelopment of its humanistic aspect and eventually the squandering of its characters. Case in point: the 1998 film franchise. Again. But the 2014 reboot Godzilla carefully balanced fantasy and humanity. It did tread lightly at some points which allowed the movie to breathe and its audience not be overwhelmed by the sparring monsters. The spotless storytelling, of course, is largely a product of the film’s most important aspects. There isn’t a single flaw in the narrative; the dialogues are subtle and the screenplay, razor-sharp. The directing’s superior form is not easily missed especially during the movie’s climatic sequences. The director’s outstanding techniques also allowed us to see a stunning close-range view of the monsters’ intense battle through Ford’s point of view as he free falls from a carrier plane along with other soldiers. That sequence alone deserves an Oscar nod for special effects. The acting department, on the other hand, was both a hit and miss. Fresh from the critical and commercial success of Breaking Bad, Bryan Cranston proves why he is one of the today’s biggest stars and why he deserved all his Emmy wins and nods, and maybe a lot more (here’s to hoping he’ll be up for an Oscar contention in the near future). Juliette Binoche was amazing in her less than 10-minute cameo while Ken Watanabe and Sally Hawkins were reliable albeit a little too underused. The problem in the acting department, however, came in the form of the movie’s lead stars. Elisabeth Olsen, although noticeably trying her very best to hold her own and maximize her role, felt weak and underwhelming. Aaron Taylor-Johnson’s performance, whose role proved extremely pivotal to the story, fell flat as a pancake. Even the little boy who was cast as their kid was bereft of the charm and charisma necessary for a child actor to shine and do well in Hollywood. As such, some (emphasis applied) of the film’s more subtle moments which should have been accompanied and saved by fine acting performances weren’t. Fortunately, Godzilla is far bigger and greater, both figuratively and literally, than the movie’s forgivable flaws. Indeed, the 2014 reboot is something moviegoers should be thankful for as it finally started the arduous process of erasing from our minds the the grave errors the 1998 movie franchise has unabashedly committed. Godzilla was given back his rightful glory and again treated as a hero, not a seafood-hungry enemy that, without rhyme or reason, destroys all that it sees. Thanks to the reboot, a lot of toy makers will now increase their production of Godzilla action figures and stuffed toys (if such things even exist) as a result of many children wanting to pet and own the giant that saved the city. Actually, this includes me. With all that’s been said, will the 2014 Godzilla reboot finally punctuate the legendary tale of the king of kaijus? I say it has only just begun. PS. The film is amazing in IMAX 3D. PPS. If you’re a Filipino like me, you will enjoy the Philippine backdrop at the start of the movie.